Village Tire Sales has the area’s best deals on tires. If you're traveling along the Golden State Highway and need tires, make us one of your stops. See us for tires from great brands like: MICHELIN®, Firestoneand Nexen. We also carry motorcycle and ATV tires, as well as quality used tires. We want to help keep your car on the road as long as possible. 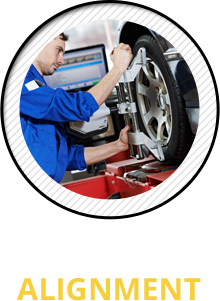 Bring your vehicle to us for brake repairs, steering and suspension service, a lube and oil change or wheel alignment. Find yourself with a flat on the Golden State Highway 99? Call us for roadside assistance. 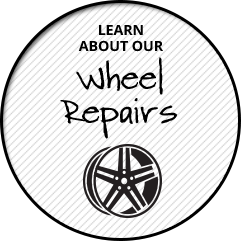 We also offer wheel repairs. Call us now at (559) 897-5129 to schedule your appointment. Since 2011, Village Tire Sales has delivered quality auto repairs and tires at affordable prices. We cater to our customers' needs and we always put you first. Drive in and see us for auto repairs if you live in Kingsburg, CA, Selma, CA or Dinuba, CA as our conveniently located auto shop is here to serve. If you're traveling along 99 and need flat tire repairs or other services, give us a call. We're only moments away from the Golden State Highway if you're heading to or from Fresno. Shopping for accessories? Let us help you choose a lowering or leveling kit to fit your vehicle. No matter what you need, our friendly and helpful team is here to treat you like our #1 customer. We’re located at 2031 Simpson St. in Kingsburg, CA. Visit us Monday-Friday 8:00 a.m.-5:00 p.m. or Saturdays 8:00 a.m.-12:00 p.m.
Save money with our selection of quality used tires. Our used tires are carefully inspected for quality and have lots of miles left. Call or stop by to learn more.